Marc Jacobs is one of my favourite brands when it comes to fragrance. Not only are Marc Jacobs fragrances stunning, their packaging is always amazing and I love how the bottles look on my dressing table. The newest fragrance in my collection is the Marc Jacobs Dot Eau de Parfum 50ml £40* which is one I’ve been lusting after for a long time, since it launched back in Spring 2012. Marc Jacobs describe Dot as being floral-fruity, surrounded with exotic notes of coconut and wrapped in a soft vanilla embrace. Marc Jacobs Dot Eau de Parfum features top notes of red berries and dragon fruit, the heart consists of honeysuckle, jasmine and orange blossom whilst the base notes are coconut water, vanilla, driftwood and sensual musk. 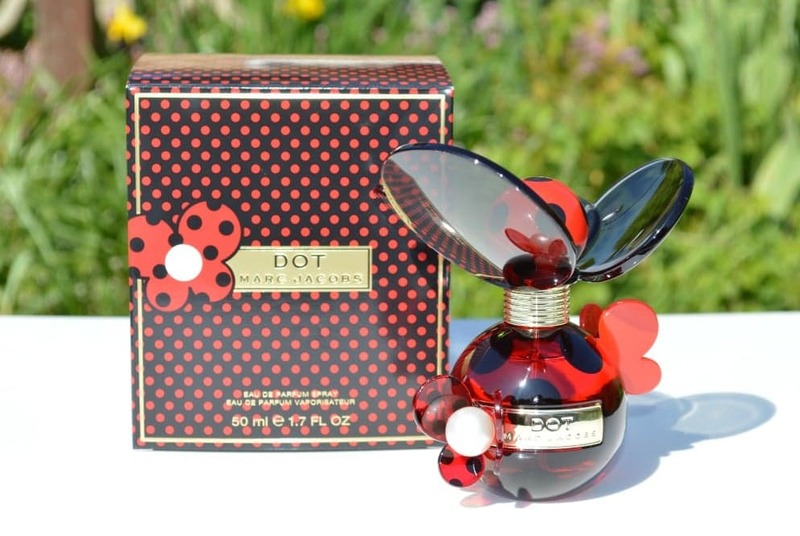 The packaging of Dot is truly beautiful, with a rounded red glass bottle and rounded lid which are both adorned with black polka dots. 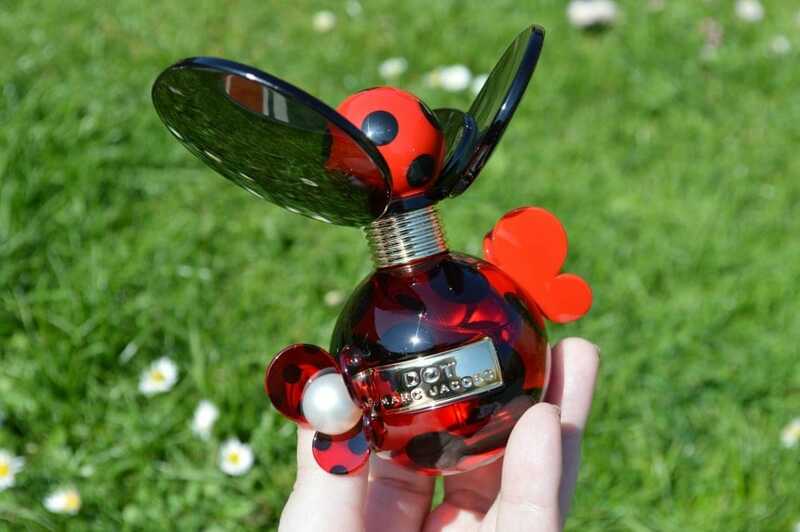 The lid features large petals to look like a ladybird in the centre of a large flower. The bottle itself features a little butterfly on either side, and gold metal plaque across the bottle with the perfume’s name. 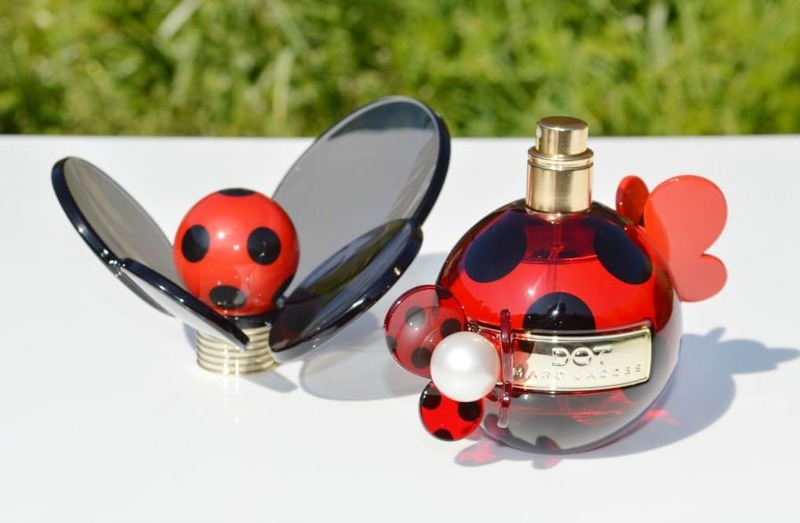 I think that Marc Jacobs Dot is a gorgeous fragrance that would suit all ages as it’s a very likeable scent, in that it’s not too overpowering and it works well for both day and night. If you love Marc Jacobs Honey, you’ll really love Dot as they’re quite similar in that they’re both fruity-floral scents and they’re slightly sweet, but Dot is a little more fruity compared to Honey. Whenever I first spritz Dot, it really does smell of watermelon which is so strange considering it doesn’t feature within the notes, but it does smell like watermelon initially. I’ve found that initial fruitiness does soften slightly thanks to the vanilla, and it does smell rather tropical with the coconut water so it’s perfect for Spring and Summer. 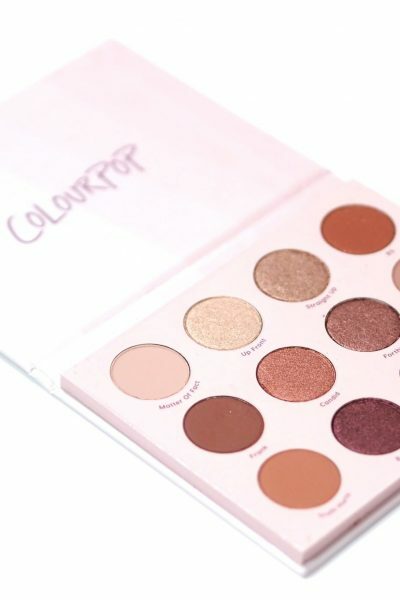 I love that Dot smells sweet, but not in a sickly way.. it’s very lightweight and fresh. I find myself gravitating towards Dot every single morning, especially during this freak mini heat wave we’ve been experiencing. It just smells divine, and I get compliments everytime I wear it and I adore how cute the bottle is. If you’ve never tried Marc Jacobs Dot for yourself, and you’d like to.. the very generous guys at Cosme-De have gifted me with another 50ml bottle to giveaway here on my blog, so if you’d like to enter, please read the terms and conditions before entering via the Rafflecopter form..
you must follow my blog via Bloglovin’, you must follow Cosme-De via Twitter and leave a blog comment on any of my other blog posts. 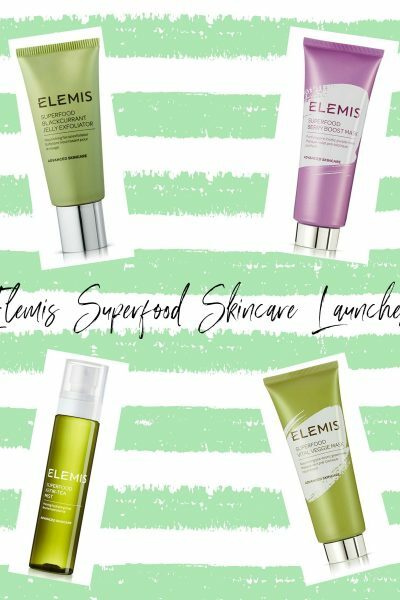 – This giveaway is open to UK residents only due to Royal Mail postage rules concerning perfumes. – One winner will be chosen at random via Rafflecopter, and the lucky winner will win a 50ml bottle of Marc Jacobs Dot Eau de Parfum. – Cosme-De have very kindly provided the prize, and I will be posting the prize to the winner myself.